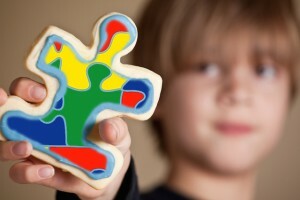 Due to recent changes made to the Diagnostic & Statistical Manual for Mental Disorders (DSM), it can be a little confusing to know what DDA is looking at when it comes to children with an autism diagnosis and DDA eligibility. That’s because the DSM 5 definition and criteria for Autism Spectrum Disorder (ASD) is different from the DSM-IV-TR diagnosis of Autistic Disorder. As a result, DDA requires different documentation to help make sure that it’s serving the same individuals it’s intended to serve, regardless of the version of DSM that’s used. Substantial Limitation: Adaptive skills test score of more than 2 standard deviations below the mean. Diagnosis: Autism Spectrum Disorder 299.00, with a severity level of 2 or 3 in both columns of the severity scale. Full Scale IQ (FSIQ) score of more than one standard deviation below the mean*, or a statement from the diagnosing professional that you cannot complete an IQ test because your condition is so severe you cannot demonstrate the minimum skills required for the test. *If your FSIQ is higher, you can provide documentation signed by the diagnosing professional showing you meet criteria under the DSM-IV-TR for Autistic Disorder (DDA can provide a form to the diagnosing professional if needed). 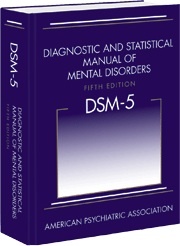 NOTE: The diagnosis must include a diagnostic report that includes documentation of the diagnostic criteria specified in the DSM-IV TR or DSM-5. When filling out the application materials for DDA eligibility, be sure to include the names and contact information on the Consent form of those who made the diagnosis and administered the test(s). DDA may have a question related to their findings. DDA may also need to request additional information from sources such as schools or medical providers. Leaving out this information may delay the application. APPROVAL: Contact your local DDA office to request services and an assessment. DDA has a variety of programs and services to meet different needs. A case manager will conduct an assessment to determine eligibility for the requested programs or services. Some programs may have waiting lists but asking for services provides the state with an accurate picture of the overall need, and helps with planning and funding requests to the legislature. DENIAL: Read the reasons why DDA denied eligibility, which is included in the letter (called a Planned Action Notice). This can help you understand what additional information DDA may need if you choose to reapply.